We imported steel wire rope machines and technology from abroad to produce first-class galvanized steel wire rope and stainless steel wire rope for domestic market and the world market. Used for mining, lumbering, cableway, winch, crane, shipping, loading and unloading. Wire Rope Patterns: Can be customised. 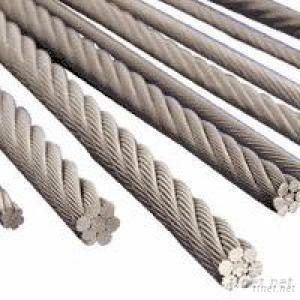 Wire Rope Sizes: Refer to list below. Sizes can be customised.